We don’t view food safety as a necessary evil. We consider it a moral imperative. 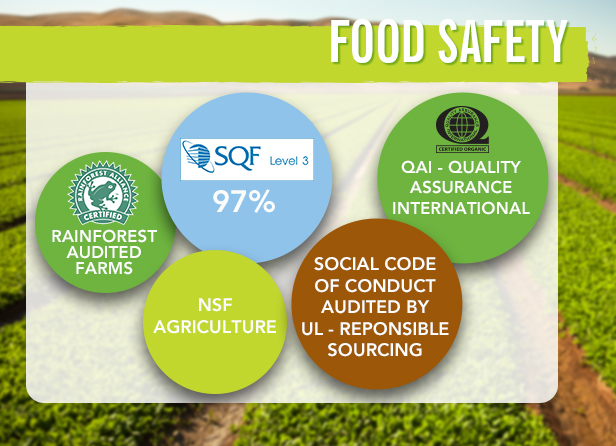 Our HAACP-based food safety program starts with incredibly strict guidelines that are followed throughout each product’s life cycle. We enforce and follow rigorous standards and qualitative best-practices at every point of the process. We conduct regular audits of our suppliers, all the way down to field level, and we demand 100% compliance from every partner.